PB Classic Web Service Framework Update! Software Tool & Die Inc are please to announce the release of their updated (Service Pack #2) Web Service STD Foundation Classes for IIs (STD FC IIs). 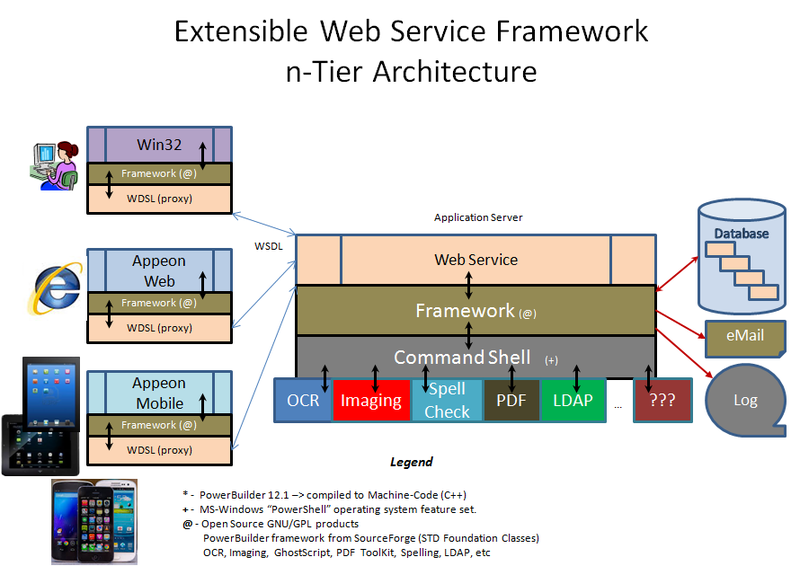 The updated Web Service IIs framework is solely targeted to helping PowerBuilder Classic developers, develop .Net based Web Services deployed to IIs. The IIs based framework takes advantage of RAD techniques - employes an MVC (Model, View, Controller) architecture for superior performance, flexibility and extendability. Ported the function 'fn_check_db_status' over from the Integrated framework to the IIs Web Service framework. Ported the function 'fn_copy_transaction' over from the Integrated framework to the IIs Web Service framework. Ported the function 'fn_dbms_get_sysdate' over from the Integrated framework to the IIs Web Service framework. Ported the function 'fn_iif' (Immediate IF) over from the Integrated framework to the IIs Web Service framework. Ported the function 'fn_get_enumerated' over from the Integrated framework to the IIs Web Service framework. Added new method 'of_get_virtual_path' to the nc_iis_master class to help locate where your Web service is running inside of IIS. Ported the 'sr_pass_data' structure over from the Integrated framework to make them the same. Added INI file support to the IIS Web Service framework. Ported the base Message object class "ns_message_master" over from the Integrated framework to the IIs Web Service framework. Ported thebase Error object class "ns_error_master" over from the Integrated framework to the IIs Web Service framework. Ported the base Dynamic Description Area object class "ns_dda_master" over from the Integrated framework to the IIs Web Service framework. Ported the base Dynamic Staging Area object class "ns_dsa_master" over from the Integrated framework to the IIs Web Service framework. The STD Web Service framework is free and can be downloaded from its STD Foundation Classes SourceForge project website.